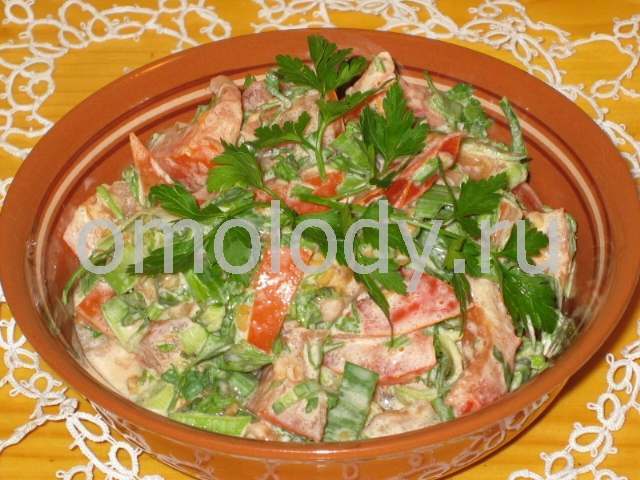 Cucumber - Tomato Salad. Recipes from Russia. Description: This salad is very attractive and tasty. 1. Put the cucumbers in a bowl and add chopped tomatoes, paprika, onion. 2. Sprinkle with crushed garlic. Stir and add sour cream. 3. Season to taste with salt and finely chopped fresh dill.